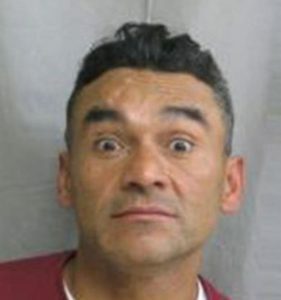 Ramon Escobar, a 47-year-old national of El Salvador, is believed to have bludgeoned several men with a wooden baseball bat or bolt cutters as they slept on the beach or on the streets of Los Angeles or Santa Monica in order to rob the victims. On Wednesday, Los Angeles County prosecutors charged Escobar with three counts of murder, five counts of attempted murder and four counts of second-degree robbery. Prior to arriving in California earlier this month, Escobar was interviewed by police in Houston about the disappearance of his aunt and uncle in August. Houston police let Escobar go, saying they had no probable cause. However, Escobar is now suspected in his aunt and uncle’s disappearances. After Escobar fled to California, attacks on homeless people and individuals sleeping on the beach began. In one of the incidents, a San Gabriel man, who would apparently sleep on the beach at times to avoid the commute home, was found dead under the Santa Monica pier on Sept. 20. Police said he was beaten to death. The majority of the victims, though, were homeless individuals. In addition to three deaths, at least one homeless man who was bludgeoned in the head while sleeping ended up in critical condition. Escobar’s criminal history includes six felony convictions for burglary and illegal re-entry. In 2016, Escobar won an appeal in immigration court, and Immigration and Customs Enforcement released him from custody. Additionally, last November, Escobar was arrested on a misdemeanor assault charge in Harris County, Texas. He was convicted of the offense in May, but remained free following the conviction. Escobar is currently being held without bail. Wow. This has got to be really conflicting for y’all. Well he sure knew what state to flee to.